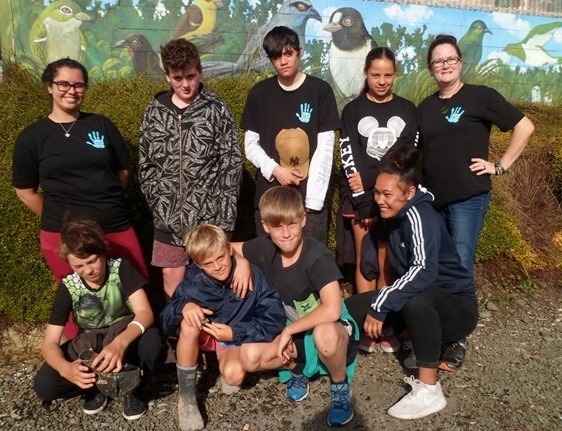 SKYouth Trust, is an organization based in South Kaipara, Auckland, working to assist youth on their journey to discover themselves, others and the environment in caring, safe ways. We were delighted when the trustees contacted us about using CUE Haven as a venue for SKYouth activities. 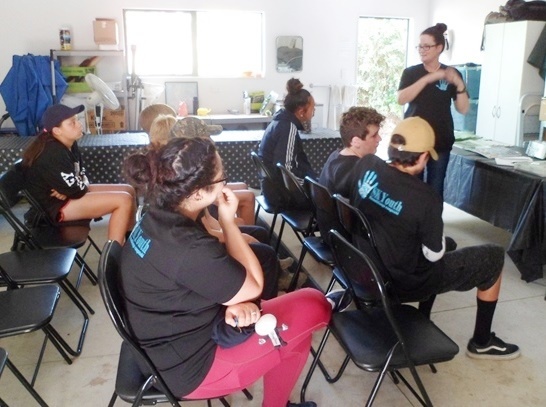 In October, several of the SKYouth leadership visited CUE Haven and we discussed ways we might work together. 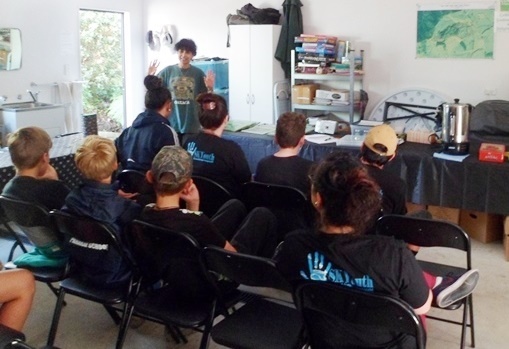 One possibility is to have SKYouth members take on artwork or building projects. 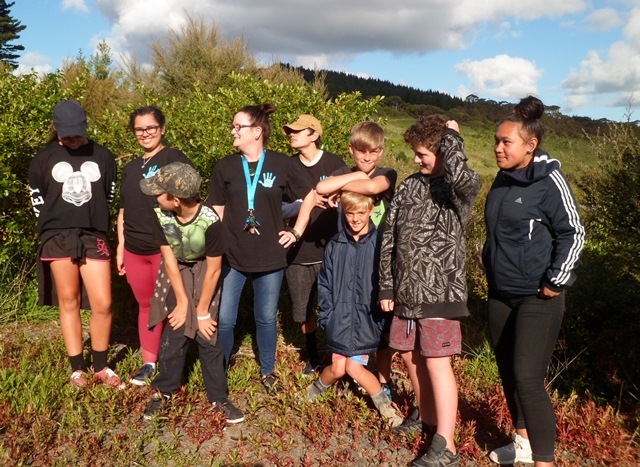 Today trustee Jeanette Cummings, senior leader Jacinta, student leaders Dante and Divine from Kaipara College, and students Bayden, Jasmine, Jax, Noah and Toby from Helensville Primary and Parakai School visited CUE Haven for a tour and a picnic dinner to get them started thinking about possible projects. The group arrived at about five and we got acquainted over snacks. Mahrukh also gave a quick talk about CUE Haven. Jeanette briefly told the group the plan for the evening. 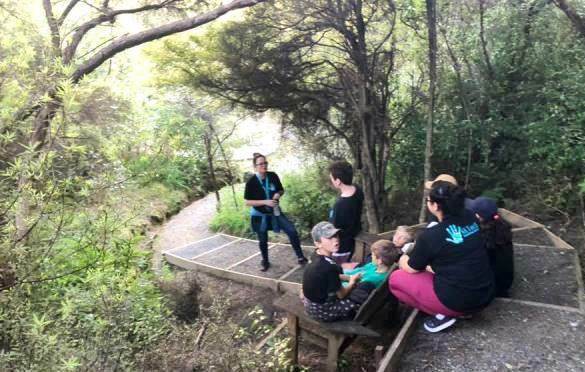 We then drove the group to the top of the property and on the way, we visited each of the platform areas that we want to turn into picnic areas. One of the projects the group might undertake is to develop one or more of the platforms. 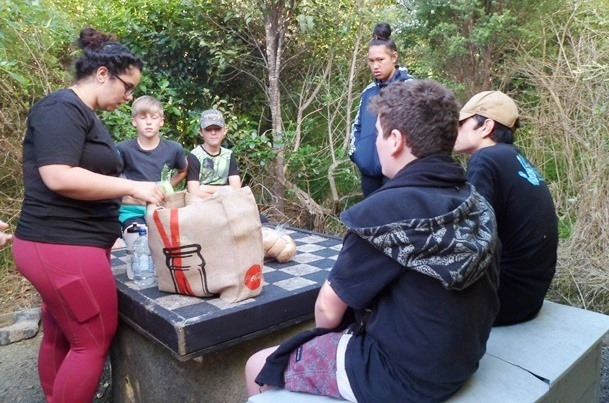 The group found a relaxing spot to have their dinner picnic. 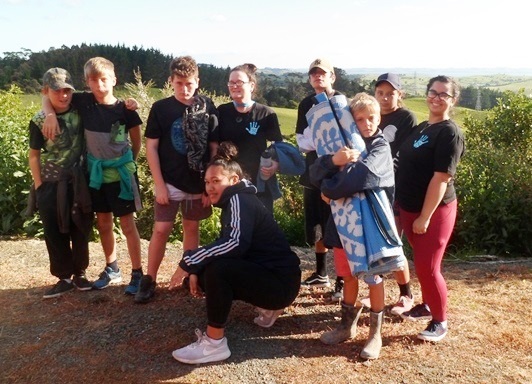 They then walked back down the main walking track to get a better idea of what some of the other groups have done as far as projects and artwork. Jeanette, thanks for organising the visit. 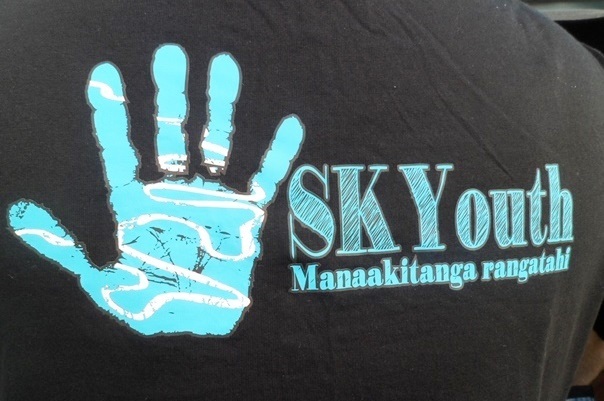 We really enjoyed meeting the SKYouth group and look forward to working together.